If you have logged into AvantLink today, you’ve likely noticed several changes to the user settings interface. 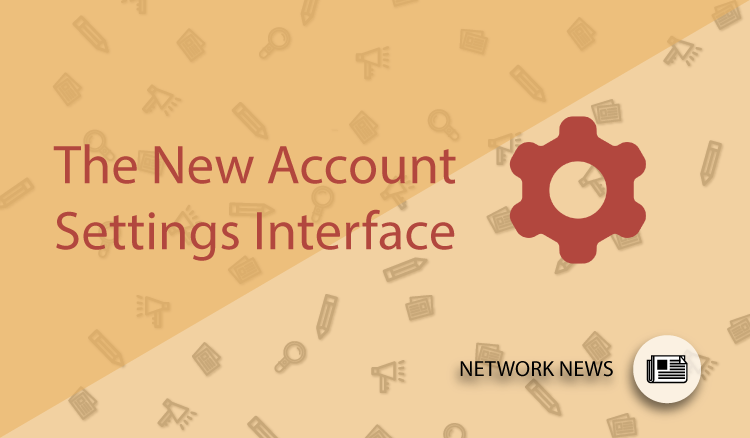 This latest update to the AvantLink network improves the access and functionality to the user account settings pages. More importantly, however, it separates the information associated your individual user account from the information associated with your business entity. At the top right of your AvantLink interface screen, you will now see a small gear icon. Clicking this icon will bring you to your user settings page, from which you can control several pieces of information associated with your user account. 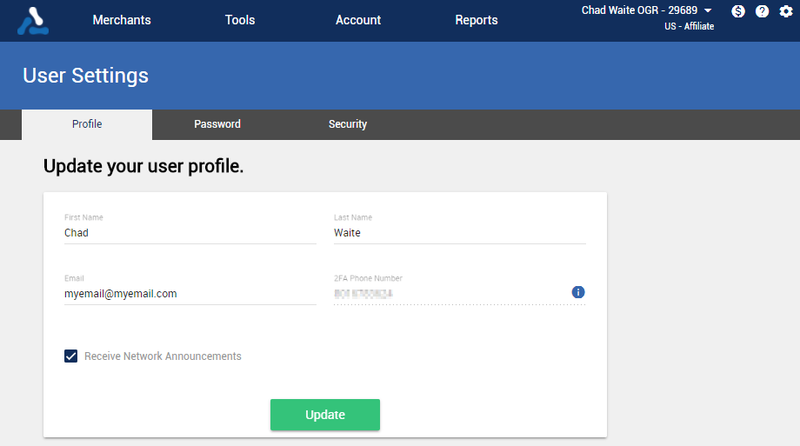 User Profile Info: Update your name and the primary email and phone number used with your user account. Note that there is also an option to opt in to or out of receiving network announcements. We, of course, highly recommend that you stay opted in. Password Update: Periodically updating your password is a good practice, which can be done from the ‘Password’ tab. Security: Following the new login update in April, users are required to pass a two-factor authentication (2FA) each time a login occurs from a new device. This enables you to be logged into your user account through multiple devices simultaneously. The security tab allows you to rescind the 2FA for all devices currently logged in. As your user account settings define items associated with your personal login, business settings define information associated with your affiliate business entity as a whole. This distinction is important because many affiliate accounts have multiple logins associated with the business. Separation of user login settings and the business settings are now more robust, allowing the master user to edit business information independently of their account or their sub-user’s accounts. Editable information in the business settings page remains the same, with the exception of three items, and is reached from any affiliate account by clicking on Account>Business Settings. Business Email: Business emails are used as a place to send important communication from your merchants. Say your affiliate account has multiple user logins with unique user emails associated to each one. Now, instead of merchant communication hitting those users independently, it will be sent to the business email on file. Receive Merchant Recruitment Offers: This option enables or disables your permission to receive recruitment offers from new merchants who would like to work with you as an affiliate. Receive Merchant Newsletters and Emails: This option enables or disables your permission to receive ongoing email communications from a merchant, generally regarding important updates to the program. 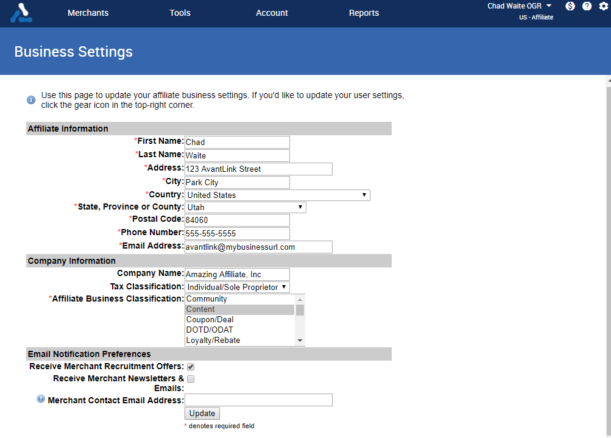 As you can guess, AvantLink recommends allowing merchant recruitment offers and newsletters to reach you.